“Martin Maudsley’s storytelling is masterful – engaging, witty and suitably scary, he brought every character in the story to life and had the children spellbound.” Dorchester Arts on Peter & the Wolf, 2014. “I just wanted to thank-you for the wonderful performance last night. The stories were amazing, and the words and images are still echoing round in my head.” Nora Quas, Gordano Arts Festival, 2013. 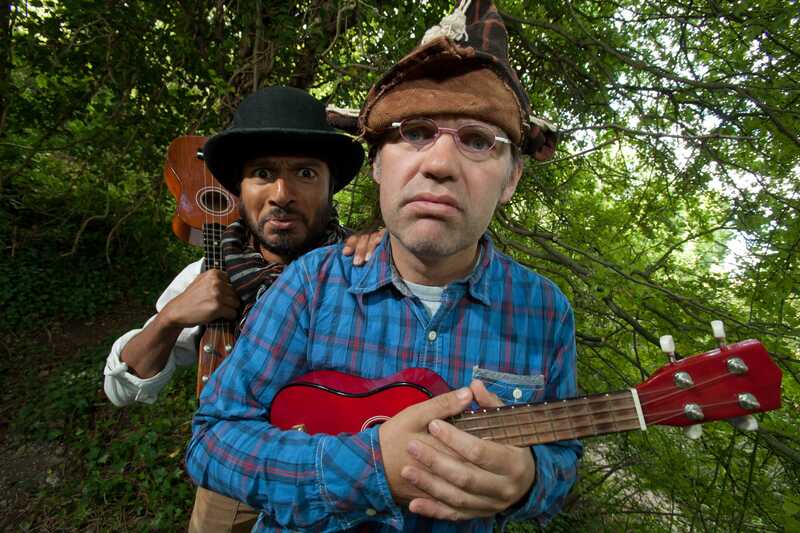 Peter and the Wolf (touring during 2014) – a brand-new storytelling interpretation of Prokoviev’s well-loved classic, with Fiona Barrow (violin), Eddy Jay (accordion) and David Adams (bassoon). Fiddler on the Hoof – an engaging mix of traditional tales and folk tunes about fiddlers, with fantastic fiddle player Fiona Barrow. Around the world in 80 minutes with a tale and a tune! Wayland the Smith – an epic story rooted in Norse mythology percolated through rich imagery, performed with Welsh cellist Ailsa Mair Hughes. Grimm and Grimmer – Martin Maudsley and Saikat Ahamed delve deep into the forest of Grimm’s tales and unravel a ball of yarns behind them. Whose Land is it Anyway? – a specially commissioned storytelling piece exploring the meaning of ‘local’, first performed at Beyond the Border Storytelling Festival 2012. Wood and Water – a creative collaboration with singing duo In the Milkwood creating a magical evening of stories, songs and sounds, commissioned by Gordano Valley Arts Festival 2013. 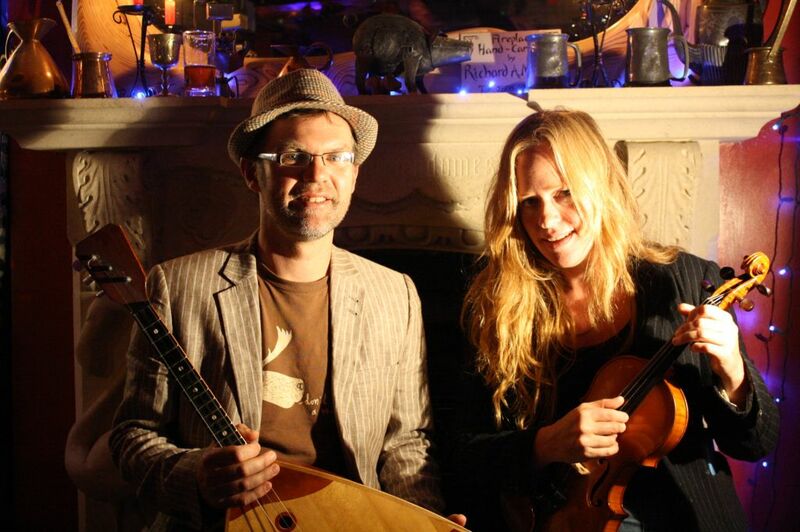 Old Tom’s Tales – an endearing rendition of a grandfather’s life-story and the folktales that surrounded him, performed with multi-instrumental musician Fiona Barrow.